The fear of law and punitive action does not spare even advocates. 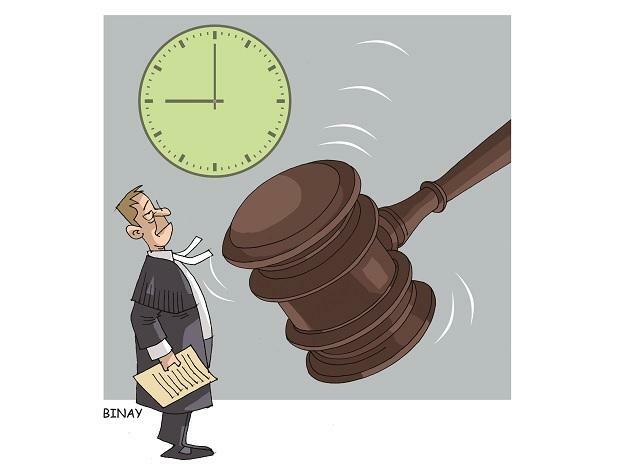 Last week, during a hearing against a global car maker, a young counsel appearing for the company had a harrowing time when the four-judge bench of the National Green Tribunal (NGT) initially refused to give them even a minute’s time to comply with the past orders. As the young lawyer started to explain the company’s stand and sought seven days to deposit the fine, the NGT chairperson threatened to order the arrest of its managing director right away. The lawyer immediately relented and said they would deposit the amount within 24 hours. Sweksha Anudaan is a voluntary grant service that was initiated during the Digvijay Singh government in Madhya Pradesh. The budget of the grant amounted to Rs 2 crore and was meant to be given to people from economically weaker sections to help them tide over their medical expenses. Former Madhya Pradesh chief minister Shivraj Singh Chouhan had increased the grant amount several times during his tenure. The corpus had grown to Rs 120 crore last year, which Chouhan spent in the first six months of his tenure the year before, thinking it would bring some votes to the party in the assembly elections. However, they lost. Now when the new Chief Minister Kamal Nath decided to keep the scheme running after taking oath, there were no funds to be given out. Sources said Nath had to arrange funds on his own to disburse it to the general public. January is turning out to be a month of promotions and transfers in the central government corridors. Before the proverbial bell rings for the code of conduct to set in, the government officers are getting clearances for training programmes abroad, which would have otherwise come through in April and May. Further, junior posts are being filled with several orders in bulk issued from end of December. Most of them are ad-hoc since the regular ones would have come through only in April or May.